AfricaLead in conjunction with the United State Agency for International Development (USAID) under the Feed the Future programme of the United State Government’s Global Hunger and Food Security Initiative held an Entrepreneurship and Agribusiness Development Training Course for Youths in Lagos, Nigeria. 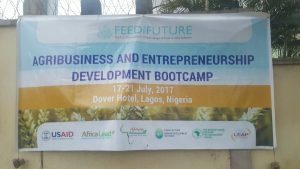 The event which was held between July 17-21, 2017 was held at Dover Hotel, Lekki Phase I, Lekki Lagos. 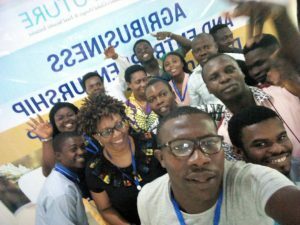 The Five (5) day training course was targeted across youths who were interested in developing business in the agricultural sector and becoming Agripreneurs. 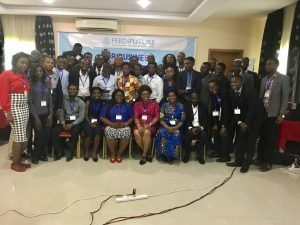 The feed the Future program supports the advancement of Agriculture transformation in Africa and one of its mandate is to promote the inclusiveness of youth and women in the transformation process. According to one of the representative of AfricaLead; a high demand exists among these target groups for skills and knowledge on how to identify, start and manage successful agribusiness. The Entrepreneurship and Agribusiness Development Course serves to close the gap and addresses these needs. 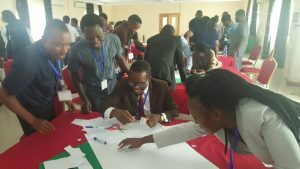 The goal of Africa Lead’s Entrepreneurship and Agribusiness Development Course was to develop the capacity of entrepreneurs in agribusiness identification, planning and management in order to strengthen start-ups and expand existing enterprises. The curriculum emphasizes the important role of developing business plan to guide the start-up and management of an enterprise. 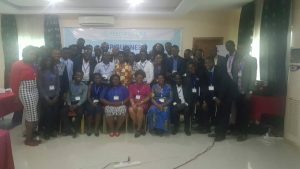 The facilitators Mrs Cecilia Addae (AfricaLead), Mrs. Vicky Udomi referred to as the Cassava Queen, Mrs Lilian Adegbola a professional business coach and Mr. Tunji Abudu a seasoned Accounting and Investment practitioner took their time to impact the participant and ensure that the objectives of the training was met. Methods used for effective training were Self-assessment, Open discussions, Group and Individual work, Case Studies, Role Plays, etc. 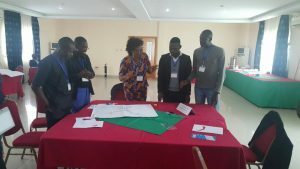 The training programme received collaborations from Fresh & Young Brains Development Initiative, Pan African Youth Network for Agriculture (PAYNA), Leap Africa and African Harvest. At the last day of the training, participants were issued certificates with awards given to best time keeper, overall best participants, best male and best female participants, etc. 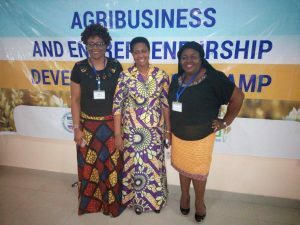 At the closing ceremony, representatives of AfricaLead, Leap Africa, Sahel Agribusiness Investment, African Harvest were around to encourage the participants to stay focused and ensure that the skills and knowledge gained at the program is reflected in their various Agricultural value chain business. 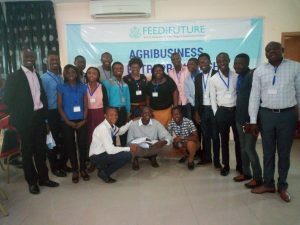 The youths who had academic backgrounds from Accounting to Information Technology, Agriculture, etc were very happy and thanked the organizers for the opportunity to be at the programme. Speaking to some of the participants, Agripreneur starters said that they are well equipped to launch out their various Agribusiness ideas while those already in the Agribusiness said that the skills and knowledge obtained will strengthen their business and reposition their business for more growth and development opportunities. Other things we have gained in addition is the Networking platform that the programme provides and we are so happy to be here. “ More than anticipated, I am deeply inspired. I see possibilities and am well-informed on how to sustain my cause; equipped with the knowledge that building a business is beyond passion: it requires firm structures that will sail through the storms and breakthrough to become a name preferred by the people you were motivated to help or serve in the first place. I am fully aware that this can be possible by engaging strategy, planning, hiring rightly, and setting strategic business goals that cut across marketing, expansion and consolidation and finance. These structures are critical beyond a shining billboard. This I have been taught. With the few things I have mentioned form the bulk of leadership, management, marketing, finance and operations and for Agribusiness which Nigeria is begging to locate its footprint, I think I am at advantage to be exposed to this huge wealth of knowledge. “ I am thankful to God and humbled for having the opportunity to meet each and everyone. I pray we grow together to become leaders that will influence positive change in agriculture. “Gratitude is a scarce commodity sold in the mall of words. I’ll like to lay my honest appreciation down at the feet of everyone on this platform. You guys are the *best! * Thank you for all your contributions to the discussion and your questions. I really learned a lot from it. A special thank you to Coach Lilian ma’am, you’re the best. Coach Cecelia, Auntie Vicky. Not forgetting Mr John, Thank you! thank you!! thank you!!!. I’ll also like to appreciate all the sponsors; Africa Lead, USAID, African Harvesters, Payna A very big Thank you to Leap Africa for nominating me for this wonderful learning opportunity. This I know, as I go back I’ve gotten insights n ideas on the fundamental principles for business success. This program will remain a focal point in my success journey. Looking forward to building a Lasting relationship with all of you. “ Mixed, is the feelings, dynamic is my experience, worth sharing is the lesson learnt. AfricaLead is ground breaking for me & birth gut to leap with full glimpse of direction. People are my assets. I met my blowers starting from our rare resource persons, who truly had success incorporated into who they are, the only man among 3 wise women, to the great entrepreneurs swimming in the blue oceans of diverse possibilities. The process of the training was indeed indoctrinating and success infusing. Am proud to be part of this great network and believe it’s a turning point as am going to threat my business as one built to last. Really grateful to all for your contributions to my life. God bless AfricaLead & Sponsors bureau…, God bless Nigeria, God Africa, and bless you all.